Ø§Ù„Ø±Ø¦ÙŠØ³ÙŠØ© / mobile / HTC One: the manufacturer finally has its model "reference"
HTC One: the manufacturer finally has its model "reference"
HTC finally adopts a model "benchmark" in its range of smartphones, namely the HTC One, which is equipped with services like BlinkFeed, Zoe or BoomSound. HTC was the top ranking at the beginning of "the era of smartphones," competing with Apple and Samsung. 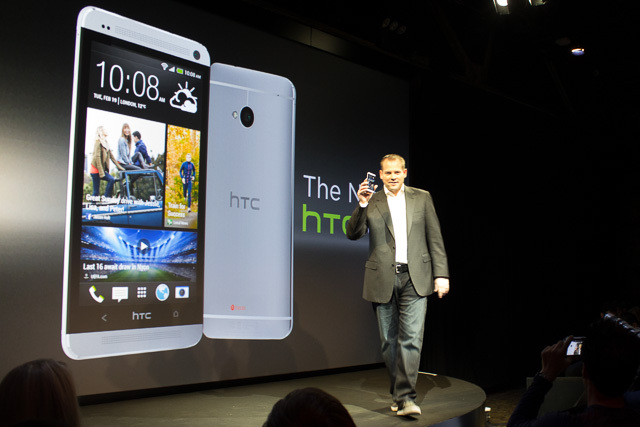 But HTC has not established itself in the market dominated by ultra-two brands above. His models Desire, Sensation or Wildfire failed to convince. So that the end of 2011, HTC promised to "innovation" ... which is long overdue. But what sorely lacked at HTC, it is in fact a basic model, a model reference as "iPhone" or "Galaxy". This will be the HTC "One": it is designed with a piece of aluminum, offers a Full HD 1920x1080 (1080p) 4.7 inch and propels itself through Android Jelly Bean. It will be available (in March 2013) in silver or black. "The new HTC One screen is also scratch resistant and reduces glare," says the manufacturer, "while offering rich and natural colors and a resolution of 468ppi incredible." It weighs 143 grams with dimensions of 137.4 x 68.2 x 9.3 mm. It is boosted by a Qualcomm Snapdragon SoC 600 quad-core clocked at 1.7 GHz, 2 GB DDR2 RAM, 32 or 64GB internal storage (depending on model), and especially Compatible 4G with French bands (800 , 1800 and 2600 MHz). HTC has reworked a lot especially with the Android interface BlinkFeed that "transforms the home screen into a single stream that focuses all relevant content constantly updated - social networking, entertainment, lifestyle news, photos immersive, etc.. - To stay connected to his personal universe without switching applications. " Aware that consumers are amateurs of photos, HTC claims to have put the package on its optical sensor (28 mm lens F2, 0) but does not wish to participate in the race for megapixels. The manufacturer simply puts forward the function UltraPixel "who gets 300% more light compared to a traditional sensor smartphone." A second front camera of 2.1 megapixels is complete. 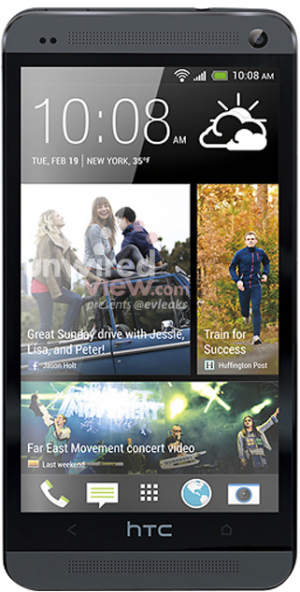 "The new HTC One now offers the best audio experience the market," says HTC still without blinking. 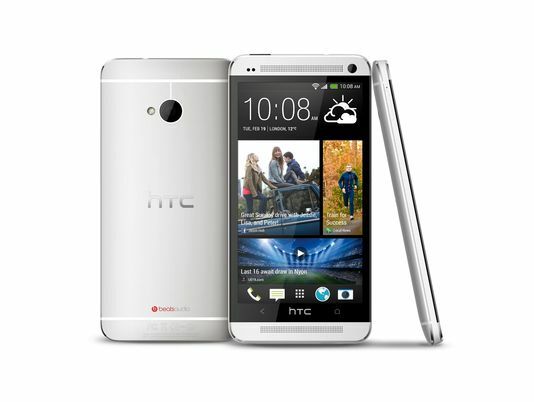 HTC One offers two stereo speakers with dedicated amplifier front and Beats Audio integration.